Like surfers catching ocean waves, particles within the hot, electrically charged state of matter known as plasma can ride waves that oscillate through the plasma during experiments to investigate the production of fusion energy. The oscillations can displace the particles so far that they escape from the doughnut-shaped tokamak that houses the experiments, cooling the plasma and making fusion reactions less efficient. Now a team of physicists led by the U.S. Department of Energy's (DOE) Princeton Plasma Physics Laboratory (PPPL) has devised a faster method to determine how much this interaction between particles and waves contributes to the efficiency loss in tokamaks. Fusion, the power that drives the sun and stars, is the fusing of light elements in the form of plasma—the hot, charged state of matter composed of free electrons and atomic nuclei—that generates massive amounts of energy. Scientists around the world are seeking to replicate fusion on Earth for a virtually inexhaustible supply of power to generate electricity. The method for helping to determine the impact on fusion, published in Physics of Plasmas, depends on how the particles in plasma get caught in the oscillations. Particles trapped in an oscillation can trace an oval-like path known as a resonant structure, whose width is a key factor. Determining the width of that structure is critical. 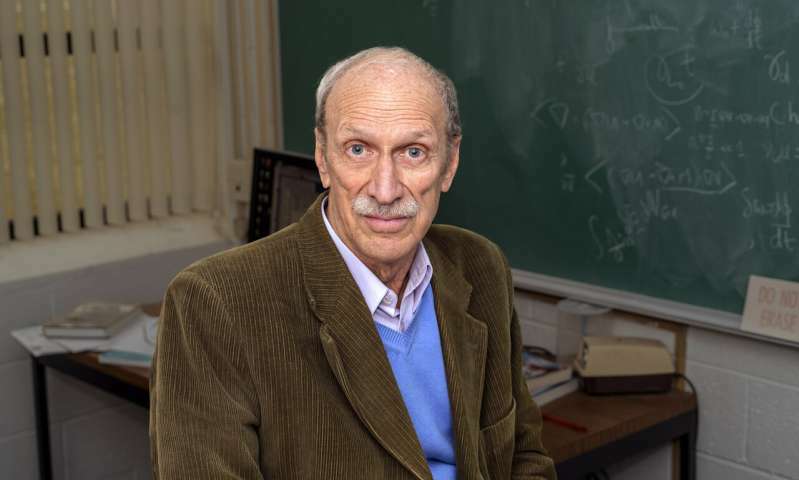 "If you want to know how big an effect the resonance has on the plasma particles, you need to know the resonance width," said Roscoe White, a theoretical physicist at PPPL and lead author of the paper. By running simulations on powerful PPPL computers, the researchers learned how a type of plasma vibration known as an eigenmode can deform the resonance and change how it affects plasma particles. "Our research stands out because we took account of the eigenmode shape, which hadn't been done before," White said. The way in which eigenmodes change resonance structures and therefore the behavior of plasma particles matters to scientists because the effect could diminish the efficiency of ITER, the multinational facility being built in France to demonstrate the feasibility of fusion power. "The modifications of particle distributions by electromagnetic oscillations is an important problem for ITER," White said. "Studying these phenomena allows scientists to predict how strong the effects of the oscillations will be, and then engineer ways to eliminate the waves, prevent particle loss, and maintain fusion efficiency." The findings could be used to create a reduced computer model with simplified, yet accurate, code that could simulate plasma behavior with fewer calculations and therefore in much less time than current models take. "The best available simulation of a discharge in DIII-D, the tokamak operated in San Diego by General Atomics, can take a supercomputer several months to complete," said Nikolai Gorelenkov, principal research physicist at PPPL and a co-author of the paper. "That's too long. The ultimate goal is to use simulations of particle-wave interactions in plasma quickly enough to predict where and when losses might occur, and then take action to avoid those losses." The task becomes vastly more difficult with regards to ITER. "A conservative projection for ITER is that simulations will require approximately 1 million times more calculations than are needed for current tokamaks," Gorelenkov said. "It's an unprecedented amount of computation, so we have to find ways to make the simulation easier to finish."